When people are depressed, the sky seems darker, the mountains seem taller and the world seems bleaker. They might see every person they pass on the street as irritated or judgmental. Depression makes the whole world seem harsher. Why? The answer might have to do more with altered attention than altered perception. 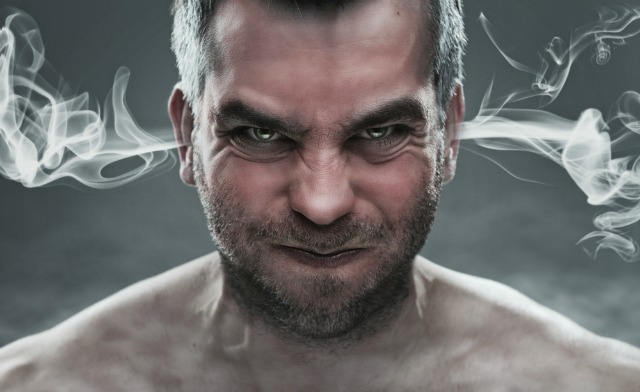 A recently published study in Clinical Psychological Science indicates that attention to angry faces may predict future instances of depression. Researchers at Binghamton University recruited 160 women to participate in this study, 60 of whom had a history of major depression. None of the women were currently experiencing a depressive episode. The researchers showed the participants several pairs of faces. In each trial, one of the faces had a neutral expression and the other face had either an angry, sad or happy expression. The researchers used eye tracking to measure how long each participant looked at each face. The women with a history of depression spent significantly more time looking at the angry faces than the neutral faces when compared with the women who had no history of depression. Meanwhile, there was no difference between the two groups when it came to looking at happy or sad faces. Interestingly, the amount of attention people paid to angry faces could also predict depression. Among the women with a history of depression, those who spent more time looking at angry faces were at the greatest risk of experiencing a depressive episode over the next two years. The results of this study can potentially be used to identify people who are at risk of developing depression. Much like blood tests predicting the likelihood of a person developing diabetes, attention tests can be used to predict the likelihood of a person developing depression. By anticipating the beginning of a depressive episode, clinicians can administer preventative therapy such as cognitive behavioral therapy or preventive medication such as SSRIs. Being able to predict the onset of a depressive episode can be a valuable tool for clinicians and patients alike. If people who are prone to depression pay more attention to angry faces than neutral faces, could they be trained to shift their attention away from angry faces? Could this training reduce their risk of depression? Cognitive remediation, also known as cognitive training, is a series of mental exercises designed to strengthen various cognitive skills such as memory and problem solving. Originally designed for people who have suffered brain damage, cognitive remediation is a form of “physical therapy for the mind.” Cognitive remediation has also been used for people with schizophrenia to improve decision-making and other executive functions. Can cognitive remediation help people with depression as well? Recent research seems to indicate yes – depression can be treated through cognitive training – but more research is necessary before brain training can be regularly integrated into treatment. Sovereign Health Group uses a wide variety of methods, including cognitive remediation, to treat patients who experience depression. In fact, Sovereign is one of the few treatment centers to offer this cutting-edge technique. Patients have the opportunity to play brain games to retrain their attention in Sovereign’s cognitive lab. For further information, please contact 888-530-4614.